Browse » Home » Priyadarshan » Kerala IPL Cricket Team - Mohanlal and Priyadarshan to own IPL team from Kerala! 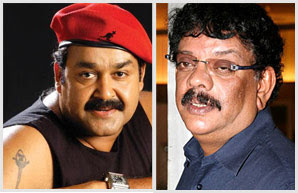 Kerala IPL Cricket Team - Mohanlal and Priyadarshan to own IPL team from Kerala! Top Bollywood director Priyadarshan and Mollywood superstar Mohanlal plan to start a cricket team from Kerala for the next IPL season, to be titled as 'City Cricketers'. City Cricketers; Priyan was an opening batsman while Lal was an allrounder. They have roped in Shashi Tharoor, the new Union Minister of State for External Affairs, as the chairman of their team and have the full support of the KCA. Soon, they will approach the BCCI with the proposal and if they get the approval, their team will debut in the next IPL in 2010. Priyan has already used his friendship with Shah Rukh Khan to send five promising cricketers from Kerala --Mohammed Niaz, Mohammed Sanuth, Rohan Prem, P Prashanth and Sanju V Samson — to attend the selection trials of the Kolkata Knight Riders. Two NRIs and a few corporates are willing to fund the project which will cost around Rs 250 crore. The team will have its own state-of-the-art cricket stadium near Kovalam. Former Indian player and fielding coach Robin Singh has been signed as the technical director. “The KCA will approach the BCCI with our proposal, and if all goes well, we will start our IPL innings next year,” concludes Priyadarsan. Though the dotted line is far from being signed, fans are already hollering for actress Asin to be made the team's brand ambassador. Anupriya, a DU student says: "Asin will be the perfect choice because as a young Keralite she embodies the rising aspirations of youngsters in the state. Plus, she is so glamourous." Agreeing with her, Amit Kartikeyan, a software pro, adds "a good second choice could be Vidya Balan, another Keralite" On the name of the team: City Cricketers, Manoj Madhavan, a media professional says "It's a weak name, sounds very local and has no Kerala flavour, it should have been something like Southern heroes. Brave Move. Kudos to Mohanlal and Priyadarshan. After all Our state, pioneers in Sports cannot leave aside Cricket. May be the name "City Cricketers" does not have a Mallu touch. How about the name "Malabar Tuskers" ? Name of the Team should be " Gods Own Thunders " or some thing which relevant to Kerala. i think the name should be cochin dragons with mosquitoes as logo art..
and their logo shall be ththi thara thithi thy....howzaat!! could you please inform about the team selection date so that i would have a chance to prove myself..
Name of the team should be "COCHIN PREDATORS"
PLEASE ENTER ME IN YOUR IPL TEAM. I PLAY SCHOOL'S STATE LEVEL IN THE YEAR 2008-2009. Kerala is a state which has beautiful water bodies in plenty when compared to other south indian states. So let the team's name be "COCHIN SEAHAWKS". The eyes of a hungry seahawk desperately searching for its prey can be used as the logo. But dont let the seahawk appear on the team's jersey. The jersey should be light blue in colour reflecting the freshness of a sea. Congratulations and best wishes on your venture. Iam a management professional with an all round experience in events and promotions,currently iam working as a G.M in a reputed book publishing and distribution organisation.I would like to be a part of your venture. Kudos to both legends mohanlal and priyadarshan for thinkin in a different perspective. For rest of the IPL teams, their state names are mentioned explicitely in it. There is not much fire in the current chosen name 'City Cricketers' .However it's a good decision tat u didn't focus on a particular area like cochin/malabar/....while naming it. It's kind of a sober name - not much passion in it.The name bought back memory of a bunch of kids playing in the poojapura maidanam . Here we are talking about a team that'll be known to a national/international level. Shouldn't you consider something that'll sound more powerful? May almighty bless you with your midas touch in this venture as well. heloo sir it is great to here this news of kerala owning a team for ipl 2010, i myself is very enthusiastic to participate in ur team as a member. excellent bats man,fast bowler,fields in outfield.i am a good allrounder. Congratulations..... Proud moment for cricket fans in kerala..... i don't know iam a good player or not..now iam playing in malappuram district A division league.. i would like to participate in the selection trials of ur team.. am studing in Aircraft maintanance engineering @ bangalore. Best wishes.for priyan sir and lal sir. we are waiting for an excellent kerela team, we r full supporting u.
in future youth will see `kerela'by this club so: jai kerala team. Iam a management professional with an experience in events & promotions,currently iam working as a Marketing Manager in a Trading and distribution Company.I would like to be a part of your venture. We have to play 2011 IPL season.. Thanks a lot Laletta... Avasaanam ithoru Lal-Priyan utter comedy padam poleyaavaruth... I am a great fan of all three (Lalettan, Priyadarshan and Cricket) Think about changing the name like.. Travancore Warriors, KILLERS KERALA etc. PLEASE JOIN ME IN YOUR IPL TEAM,I AM AN ALL ROUNDER. KINDELY INFORM ME THE DATE AND PLACE OF SELECTION TRIALS.
" KERALA BOYS COCHIN "
ia m cricketplayer in mumbai somecompany, ican get any for laletan team pls. ipl is dream for kerala cricketers, and i thank for lef.mohanlal and dir.priyadharshan. i think name must be "KING COBRAS".. I AM AN ALLROUNDER.I AM AN EXCELLENT BATSMAN[ RIGHT HAND] AND I AM AN EXCELLENT BOWLER[RIGHT HAND FAST] ALSO AM VERY OUTSTANDING FIELDER IN ANY POSITION.MY SPECIAL TALENT IS THAT I AM A BIG HITTER OF SIXES !!! .PLEASE JOIN ME IN YOUR IPL TEAM.I WANT TO PARTICIPATE IN SELECTION FOR CITY CRICKETERS.I PLAYING SCHOOL LEVEL AND CLUB LEVEL.I HUMBLY REQUST YOU TO PLEASE GIVE ME A CHANCE TO PLAY IN IPL.KINDLY INFORM ME THE DATE AND PLACE OF SELECTION TRIALS. I'm RIGHT ARM MEDIUM FAST BOWLER who can swing the ball in both the ways. So please offer me a chance to play in your winning team. Just call me for your selection pattern.. I am A Wicketkeper Right handed opening Batsmen . I play for Advocate Club NGP and I am the Member Of the School team Of K.V.Vayusena Nagar Nagpur. I am a part time Off Spinner . I am a good Athelete . Cricket is my life And I can Do anything For that ..
Sir Plss Select me In your Team Trials.. I am Mandeep Singh Waraich from Mohali,near Chandigarh I have represented 3 times punjab state under 17 and once north zone,inter university at Gawalior and awarded MAN OF THE TOURNAMENTS. I n my most of the match I was awared man of the match.I am a batsman .I HAVE GIVEN TRIEL FOR PUNJAB IPL 2010. I am ready to give my triel at any place at any time please give me chance to give the triel and show my telant.